DETROIT -- Volkswagen AG is recalling 168,275 VW and Audi models with diesel engines in the United States because of a defect in the fuel injection system that could cause fuel leaks, possibly creating fire hazards. The recall affects certain 2009-12 Jetta mid-sized sedans and wagons, and some 2010-12 Golf compacts, federal regulators said on Thursday. Some 2010-12 Audi A3 models also are affected, the U.S. National Highway Traffic Safety Administration said on its Web site. Models subject to the recall have 2.0-liter diesel engines, NHTSA said. VW, in documents filed with U.S. regulators, said cracks can develop in the fuel injection system and cause fuel to leak, possibly causing fires. 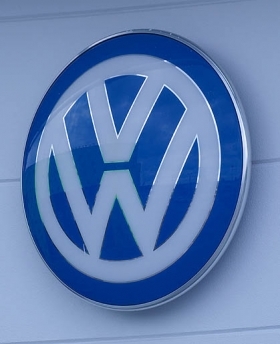 VW said it is unaware of any fires, accidents or injuries caused by the problem. On certain VW diesel engines, a vibration caused by the fuel injectors can generate stress that eventually can lead to cracks in the injector fuel lines, VW said in documents filed with NHTSA. VW will replace a fuel injector line in some models and install dampers to reduce vibration in all affected vehicles, NHTSA said. Both services will be provided free, VW said. VW said about 20 percent of vehicles recalled have fuel injection lines with potentially faulty material, The Detroit News said. The automaker said one supplier used a defective part in assembling fuel injectors -- and the failures only related to one of four injector lines, The News said. The automaker began investigating the matter in March 2010 after a report of a fuel leak, NHTSA documents show. VW told federal regulators the recall is scheduled to begin in November. The recall includes 161,144 Golf and Jetta models, and 7,131 Audi A3s. Earlier this week, Volkswagen said about 22 percent of the VW models it sold in the U.S. market last month had diesel engines.